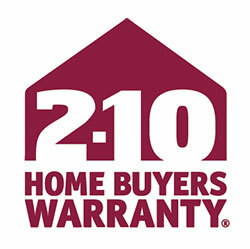 Your ICI Home Comes with a HBW 2-10 Warranty! Submit a warranty claim now! Every new ICI Home is covered by the one of the most comprehensive home warranty programs in the marketplace today. For homebuyers, an HBW 2-10 warranty safeguards your largest single investment, and protects you against unexpected repair or replacement expenses. For details, Go to the HBW 2-10 website. One Year Workmanship: From closing on your new home it will be free from defects in materials and workmanship. Items such as appliances are covered under manufacturers' warranties. Two Years System: From closing on your new home, it will be free from defects in mechanical installations, including electrical, plumbing, cooling and heating systems. Please refer to your 2-10 warranty booklet for specific coverage. Ten Year Limited Structural Warranty: From closing on your new home will be free from defects of certain major structural components. This is intended to provide a general overview of the Limited Warranty that applies to new ICI homes. Your actual warranty document will be provided at closing. For a copy of the current warranty with specific coverage descriptions, please consult with your sales representative. Nothing herein shall be deemed to create a warranty, either express or implied. Only the Limited Warranty creates any warranty. Please refer to our New Home Care Guide for tips on your care responsibilities. If you have a warranty concern, please contact us immediately via phone at 844.886.4787.